The description of this beer is unlike any other – “A tart brown ale brewed with Ohio walnuts, aged 18 months in a variety of oak barrels”. First I am not sure I have ever had a tart brown ale, second who uses walnuts in beer? Fortunately when you have Shaun Hill, Brad from Jackie O’s and Chad from Crooked Stave involved the end result is something unique and very tasty. Pours a deep brown with a very thick tan head. Aroma has plenty of wood from the barrels but also some nut and funk. The taste is incredibly unique with a slight sour taste to start followed quickly by the walnut. Also has some dark fruits, wood and funk in there. This is not a beer or a style that I would drink on a regular basis (nor could I since it was a limited release) but it is something that you should try just to enjoy the complex combination of flavors. Brewers Description: Tart Brown Ale brewed with Ohio Walnuts. 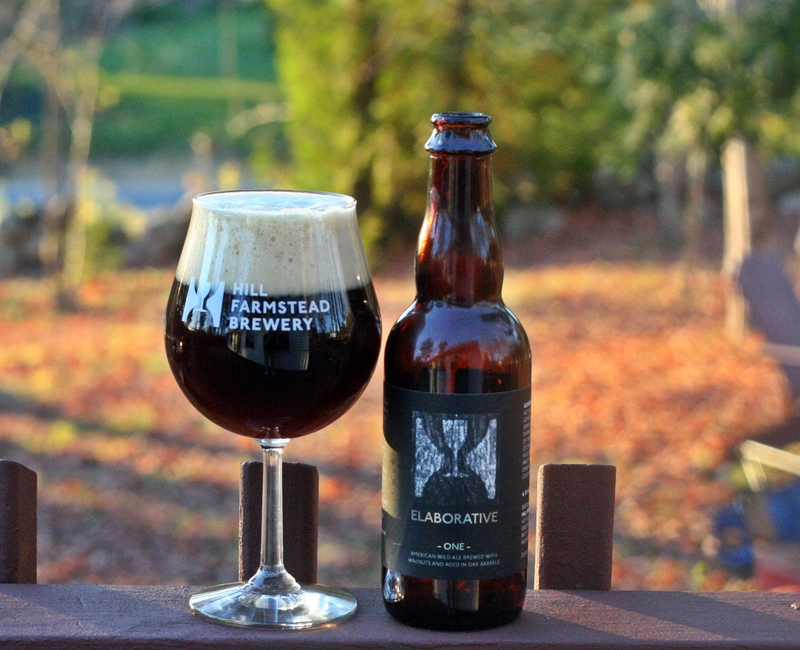 Aged 18 months in a variety of oak barrels… in friendship with Brad at Jackie O’s and Chad at Crooked Stave.